HomeGold IRA BlogGoldGold: Strike Now – While the Iron’s Cold? Gold: Strike Now – While the Iron’s Cold? If you had your finger on the pulse of gold prices in the past couple weeks, you’ve probably had little to talk about. Gold has been hovering above or below the $1700.00 per ounce mark for quite a while now. This inactivity is due to a couple factors, but on the whole, savvy investors may be wise to by now before the market heats up again. It seems traders and investors are stalling to make any large moves until law makers can find some sort of resolve to the fiscal cliff issue. Astonishingly enough, even as another round of quantitative easing has been pumped through the economy, prices have remained relatively mellow. Typically any round of QE that is rolled out causes a spike in gold prices for some time, but perhaps the fear of the approaching fiscal cliff has slowed investor’s instinctive reactions to purchase massive amounts of gold. Regardless of the reason, now could be the best time to buy before gold breaks out of this so-called “rut”. No matter what resolve law makers come to, the outcome won’t be pretty. Something will have to give and ultimately we could see mild economic distress. When this happens, investors will look to precious metals. Gold, an excellent safe haven investment, may be poised for gains if the stock market starts to take a dive after the first of the year. Perhaps a more simplistic reason as to why we’ve seen stagnation in gold prices may have to do with the basic fact we are in the month of December. Historically speaking, December is either a low or mellow month for gold prices. People are traveling, spending time with their families, out buying gifts and overall focused on other elements of their lives outside of investing. Get in touch with us today. 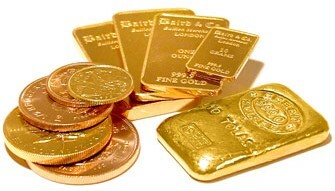 Allow American Bullion to answer any of your questions about precious metals investing. Remember, you can roll over or transfer any portion of your existing IRA or old 401(k) from a previous employer into a Precious Metals IRA. The rollover is Tax-Free and Hassle-Free. Furthermore, we do all the paperwork for you from start to finish. Just give us 10 minutes of your time on the phone.